The order volume totals slightly over €67 million. To upgrade the twelve kilometers of Line 4, Siemens will supply the Trainguard MT automatic train control system that uses communications-based technology. All train movements will be supervised via the operation control center, which will also be supplied by Siemens. 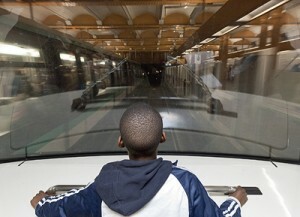 All 27 metro stations of the line will be equipped with platform screen doors, as on the automated lines 1 and 14. 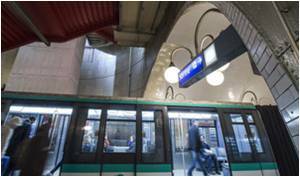 With around 700,000 passengers a day, Line 4 of the Paris Metro is one of the most frequented sections of the whole Paris mass transit network. The line, which dates from 1908, is also the most important north-south metro link in the city. It stops at three major long-distance railway stations and is the only line with transfer terminals to all 16 other mass transit lines. In 2011 the first driverless trains entered service on the Paris Metro Line 1, equipped with a fully automatic train protection system from Siemens. Fully automatic operation aims to increase capacity of this line by up to 20 percent as trains will be able to run at shorter headways. The conversion of Line 4 to a fully automated line was announced in July 2013. Start of passenger service is planned for 2020, while work on the line is scheduled for completion in 2022. Automation works will also include the extension of the line to Bagneux (1.7km). 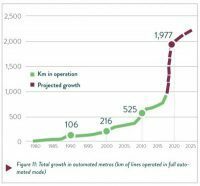 Apart from Line 4, Siemens has also equipped Metro Lines 14 and 1 for driverless operation.